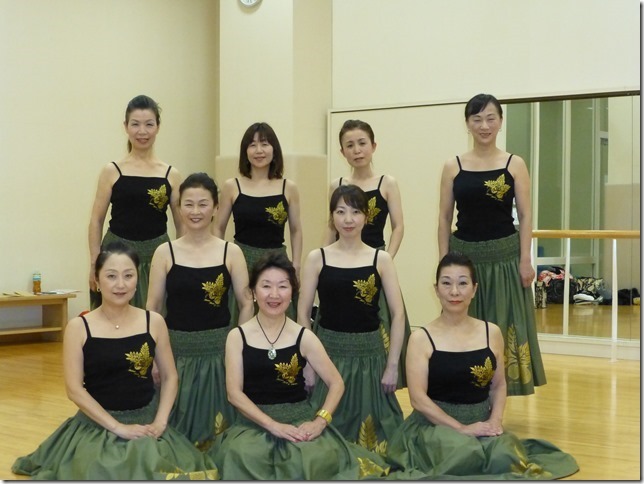 We are Halau Hula O Liliana from Shiga prefecture. Through the Hula lesson, we always keep the most important mindsets of Hawaii, that is, “Love, Gratitude and Modesty” in our mind. We wish to reveal and show our greatest charm as a female to everyone. We would also like to stay as feminine and attractive as we age. With these in mind, we encourage each others and practice Hula everyday.